The Approach to the house is a hard surface winding drive with views to Firle Beacon and Mount Caburn. There is ample gravel driveway on three sides of the house for parking. Guests are welcome to spend time in the extensive garden with its outstanding views, and extraordinary peace and quiet. Hall Court Farmhouse has a wide and welcoming hallway. Off this are two large Reception rooms, both of which may be used solely by the guests, one being the Dining Room for Breakfast and one a Drawing Room with television if required and where tea and coffee may be taken on arrival or on return from a meal out or from the Opera. The house has central heating and fitted carpets throughout. From the Hallway leads a wide staircase up to a square, bright and spacious landing. 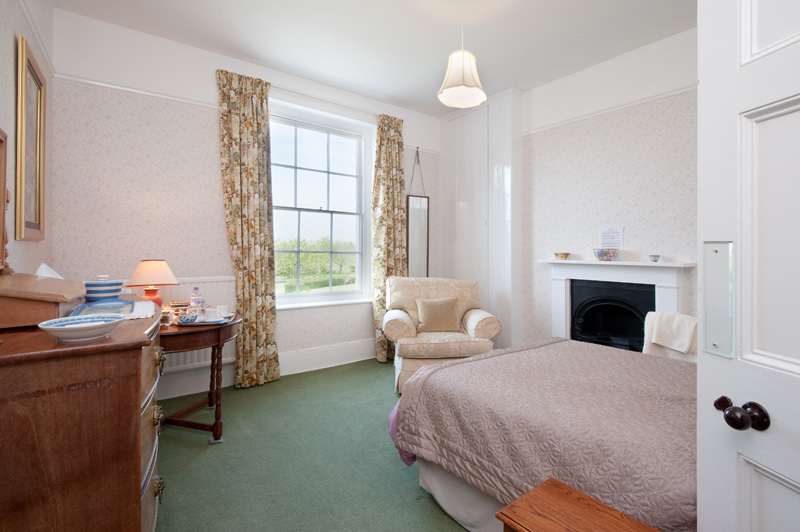 The three guest bedrooms (two twin-bedded and one double-bedded) are all spacious, light and airy. 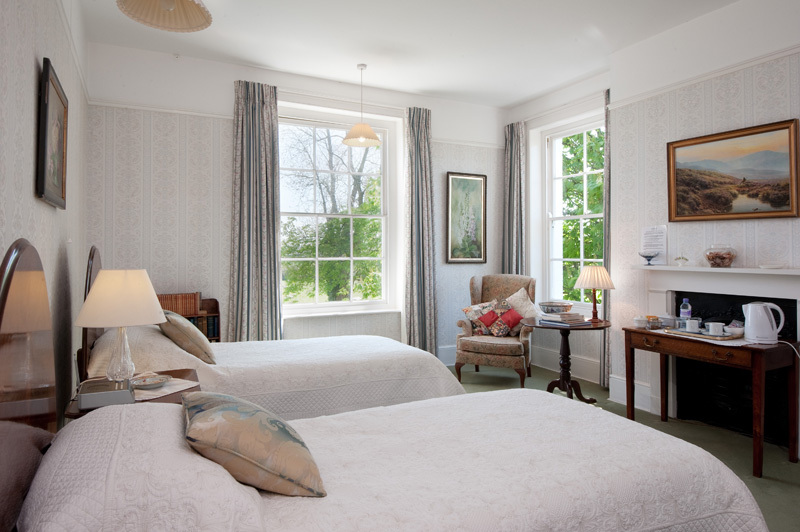 The bedrooms have chests of drawers, dressing table, wardrobe or fitted cupboard, easy chairs, good sized tables for trays of china and glassware for guests to make their own drinks. There are always fresh flowers in the bedrooms. 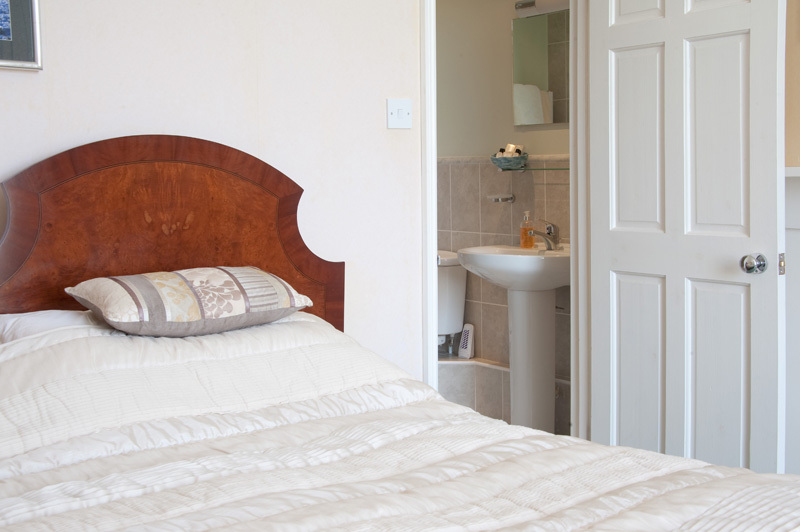 In January 2007 two new bathrooms were constructed enabling each of the three guest rooms to be either en-suite or have its own private bathroom. This refurbishment has been done to a very high standard in keeping with the Georgian house. Guests are welcome from 2.00 pm onwards (and earlier if requested, especially for those going to Glyndebourne). 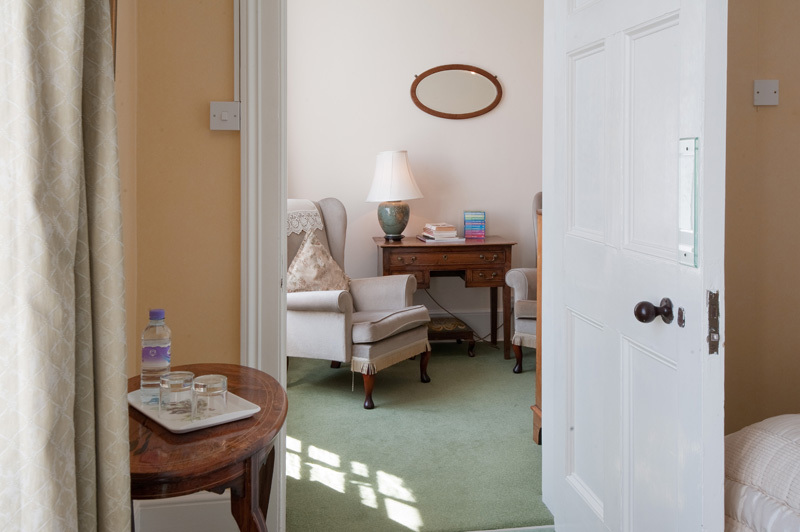 It is helpful if guests have vacated their bedrooms by 11.00 a.m. but they are always welcome to stay on longer in the Drawing Room or Garden. Breakfast is served between 7.00 and 10 a.m on the large mahogany table in the Dining Room. Fresh fruit, grapefruit, prunes, yoghurt, a selection of fruit juices, muesli and various cereals are available. The preserves are home-made and the toast is made from bread from a local bakery. Locally supplied Bacon, fresh tomatoes, fresh mushrooms, boiled, poached, scrambled or fried eggs are available.